Smartphone car service Uber, a successful company example of the sharing economy, has spread to many EU Member States in recent years. However, many employers and unions are concerned about its challenge to fair competition for other businesses in the sector and about the erosion of working conditions for drivers. It remains to be seen whether there is some grounds for EU- level regulation in this field. This EurWORK topical update, a joint product of Eurofound’s network of European correspondents, examines Uber’s operations in seven EU Member States (Finland, Germany, Hungary, Italy, Spain, Sweden and the UK) and in the USA. It includes responses and reactions from employers and worker representatives and other interested parties as reported up to autumn 2015. Smartphone-based car service Uber was set up in the USA in 2009 and began expanding into overseas markets in 2012. As of autumn 2015, Uber operates in around 60 countries and in 300 cities. The company’s rise has been rapid, and various media reports place the value of the company at USD 50 billion (May 2015). Uber relies on smartphone technology to match drivers with fares and various versions of the service are available. UberX, UberBlack, UberPOP and UberLUX differ according to the type of vehicle and the fares (base and mileage). Drivers use their own vehicles to provide the service and passengers (or ‘users’ as the company describes them) pay Uber for the journey, with a fixed portion of the fee (usually 20%) is paid as a commission to the driver. A smartphone app developed by Uber is presented as a platform that matches ‘users’ with drivers – not as a taxi business. While the Uber case has various implications for industrial relations and working conditions, it is evident that further research is required to fully understand the effect of its business model on the sector. The rise of technology-based services highlights the limitations of traditional forms of regulating an employment relationship. However, technology is not necessarily implicated in the emergence of non-traditional employment relationships even though, as with Uber, it can be a major factor in promoting change. Digitalisation opens up new possibilities for how work can be configured. However, as this case demonstrates, there is a need for vigilance to ensure that working conditions are not eroded and that digitalisation does not prompt a 'race to the bottom'. The threat of Uber to existing regulation in the passenger transport sector is best illustrated by the alliances which its rise has prompted. Employers and trade unions have come together to resist the changes and challenges precipitated by the Uber model. The role and status of the driver is a key concern, and trade unions and employers worry about the ability of Uber to undercut existing providers, which would threaten jobs. Trade unions are more vocal than employers on the prospects for employment in the sector in terms of job quality, security and remuneration. Uber’s expansion to Europe began in London in 2012, and it has been rolled out to other English cities including Birmingham, Manchester and Leeds. In 2013, Uber began operating in Italy, Sweden and Germany. Since autumn 2015, it has had offices in several major Italian cities; it has operated in Stockholm since 2013 and in Gothenburg since 2014. In April 2014, UberPOP was introduced in Berlin, Hamburg and Frankfurt, allowing people to order a ‘ride from a private driver for less than the taxi fare’. Uber began operating in Barcelona in April 2014, expanding to Madrid in September and to Valencia a few weeks later (in Spanish). Uber has been present in Hungary since 2014, but only operates (since autumn 2015) in Budapest. In Finland, Uber launched its UberPOP and UberBLACK services in November 2014 in Helsinki. The complexity of the Uber platform could explain why a great deal of attention has been paid to the challenges it presents to fair competition with other related businesses that are run by self-employed people, or by more traditional companies with employed workers. One of the principal criticisms of Uber is about whether its services are covered by current legislation on vehicle licensing and, therefore, whether it is bound by the same rules as its main competitors. In several countries, it is unclear whether Uber can be considered as a taxi service, and therefore be required to obey the same rules as a taxi service. If not, there are concerns that this leads to unfair competition, undercutting regulated taxi services. In every country in which it operates, Uber insists that it is not a taxi service but a technology service: an application used and paid for by drivers to offer services and get clients and used by customers to buy services. In several countries, other issues linked to Uber’s operations have been raised: for instance, the safety of, and insurance for, passengers when travelling in unlicensed cars; and the tax liability of both Uber itself and individual Uber drivers. There are also questions over the employment status of the drivers offering their services through Uber, their working conditions, and the consequences of this for workers’ employment rights and obligations generally. Uber styles itself as a ‘connecting service’: its business is based on electronic intermediation via an app between people who want to share a car. The company rejects the idea that it is involved in a taxi service or in the transport of passengers. Soon after Uber’s launch in Finland in March 2015, the Finnish Ministry of Transport and Communications stated that driving passengers for money without a taxi licence and without the required professional qualifications is not legal (in Finnish). Since then, the police have begun to investigate the legality of services provided by Uber drivers, but no case has yet come to court. Similarly, in Sweden, the UberPOP service has attracted the most attention, the main legal issue being whether it should be seen as a taxi service or a car-pooling service. While Swedish law supports car-pooling with reasonable remuneration for the driver, it could be considered a taxi service if drivers profit from car-pooling and if the service is offered with the intention of making a profit (in Swedish). If this is the case, drivers would be obliged to have licences, registered cars, taxi meters, and to pay income tax. Representatives from the Swedish Transport Agency and the Swedish Taxi Association have both said that, in law, UberPOP would most probably be categorised as a taxi service (in Swedish), which would make the current way of running the Uber services illegal. The Swedish police began several investigations, and in September 2015 at the first court hearing to interpret the nature of the Uber service, it was concluded that an UberPOP driver had been engaged in taxi services without a taxi licence or the necessary ‘taxi driver legitimation’. The driver was fined €265. In the online magazine New Business Week, an Uber spokesperson said the company maintained its view that it operates within Swedish law and that the dialogue with Swedish authorities would continue (in Swedish). In September 2015, the government launched a comprehensive inquiry into the taxi industry (in Swedish), scheduled to finish in July 2016. This will affect Uber’s future in Sweden, as its main aim is to clarify the definitions related to taxi services, and also to review thoroughly the legislation on car-pooling. From the start of its operations in Italy, Uber became involved in disputes with the government and taxi companies. It was alleged that Uber's service breached the national legislation on transportation services (Law of 15 January 1992, No. 21). The focus of the dispute is the UberPOP service, which has been considered as ‘comparable to taxi services’ but is not bound by the same rules as taxis. After a court in Genoa ruled that Uber operated essentially as the voluntary sharing of a private vehicle, more than 2,000 taxi drivers gathered in Turin to protest. These initial decisions in the Swedish and Italian courts illustrate the different perspectives taken on the same point. In Hungary, authorities have also sought to clarify Uber’s position and, although some ambiguity exists, it is intended that new legislation will regulate competition in the sector. Arguments over the interpretation and scope of the current legal framework were finally settled by adopting a new national taxi regulation in July 2015 (Government decree 176/2015 (VII.7.)). The Decree covers not just the traditional taxi services but also ‘car passenger services’. In this way, Uber has also become subject to the overall national regulation on taxi services, while the content of the former legislation has not changed much. Now taxis can compete on equal terms with Uber. However, although the Government Decree came into force in early August 2015, Uber and the drivers using its platform have continued operating in the same way. So far there has been a sort of ‘grace period’: authorities have not launched targeted inspections, while Uber has initiated discussions with the government to ask for a review of the new legal framework in order to respond better to the specific features of ‘sharing services’. Although the question of the employment relationship between Uber and the drivers using the platform has been raised, it has not been subject to the same level of legal attention as the issues regarding the legal status of Uber’s operations. Legal challenges are emerging around the issue of whether the Uber drivers should be classed as employees (and therefore be subject to labour regulations) or as self-employed. Some of these working conditions-related issues (which require further research) may apply more generally across the so-called ‘gig’ economy (in which temporary positions are common and organisations contract with independent workers for short-term engagements). In October 2014, Barcelona’s licensed taxi-drivers’ association, Taxi Elite, complained about Uber to the city’s Trade Court of Barcelona (in Spanish) but no ruling has yet been made. The association’s main points were to ask whether Uber drivers were employees of the company, and whether what it termed Uber’s ‘illegal activity’ was carried out by the drivers or by the company (in Spanish). In July 2015, the Trade Court asked the European Court of Justice to rule on whether prohibiting Uber’s activity was legal (as of autumn 2015, there had been no ruling). Uber gave assurances to drivers that it would intervene if they experienced any issues with courts or police. In turn, Uber has made a formal complaint to the European Commission about its treatment in Spain (as it had previously done in both France and Germany), alleging that Spain’s restrictions run counter to European laws and ‘protect the traditional monopoly of taxis’. Uber alleged that five types of EU law violations related to directives covering electronic commerce and services, the principle of technological neutrality, the freedom to offer services and even the fundamental rights of the EU. recourse to a proper discipline and grievance system. The GMB solicitors note, for example, that the company does not ensure that drivers take the required breaks or work within the maximum number of hours and point out that there have also been reports of Uber drivers being suspended (‘deactivated’) when they have raised some of these issues with the company individually. All these features make the Uber position similar to that of a traditional employer, with the drivers using the Uber platform being subordinate to the Uber company. The issue of how Uber calculates fares represents another potential legal challenge, relating to whether the service requires licensing or otherwise. It also could have an impact on the autonomy of drivers to agree the price they will charge their clients. In the UK, transport authority Transport for London (TfL) has been under pressure from taxi drivers to seek clarification on the use of taxi meters. In London, taxi meters can be used only by licensed taxis. Uber’s calculations of fares are based on smartphone technology which works differently from taxi meters. However, if Uber were ruled to be using taxi meters, then its drivers would have to be licensed. TfL has stated that in its opinion the way in which Uber fares are calculated is not equivalent to taxi meters but in March 2015 it submitted papers to the High Court to ask for clarification. In Sweden, the issue is slightly different. The controversies around the regular taxi services UberBLACK, UberLUX, and UberX mainly concern their lack of taxi meters. It is a legal requirement that taxi meters are used by cars offering taxi services. The Swedish Taxi Association accused Uber of creating unfair competition by not using taxi meters (in Swedish). Exemptions from the taxi meter requirement can be issued for extraordinary reasons – not clearly defined in the legislation – and Uber has, in turn, accused the Swedish Transport Agency of harassment, by not permitting such exemptions, claiming that the agency is protecting traditional taxi businesses. have a special, passenger-transport driving licence. Breach of these rules could lead to Uber drivers being fined up to €630 and being subject to further inspections. In Sweden, the media also recently revealed that three out of 10 UberPOP drivers do not pay income tax (in Swedish), making Uber also a target for the Swedish Economic Crime Agency and the Swedish Tax Agency. In Hungary, the company itself came under fire when it was discovered that Uber Hungary Kft., a subsidiary of Uber International Holding B. V. (registered in the Netherlands), carried out its activities without ‘meaningful tax payments’. In the UK, Uber was referred to Her Majesty’s Revenue and Customs, amid concerns that Uber was registered in the Netherlands and not paying tax on its UK operations. Uber has attracted criticism in every country where it operates, including the US. It continues to operate in many of these countries although it has been banned in some. Bodies representing regulated taxi services have been vocal in their opposition to Uber. In some circumstances, social partners (such as the GMB union in the UK) represent both Uber and non-Uber drivers. Consequently their preference is to push for greater regulation of Uber’s activities to ensure fair competition and better rights for Uber drivers. Wider concerns have also been expressed, stressing that poorly defined and ill-regulated platforms promote the underground economy which is associated with precariousness, insecurity and poor-quality jobs. The issue of unfair competition has been a focus in all the countries studied here. There have been protests about this in Germany, Spain and, as mentioned above, in Italy. And in Sweden, the Swedish Taxi Association and the Swedish Transport Agency have applied further pressure on Uber, arguing that it should operate under the same legal framework as taxis. There has also been a focus on the issue of protecting workers’ rights. Some of this is linked to issues around the business model and concerns about protecting the rights of drivers who work for traditional taxi companies. The Spanish case provides a useful illustration of this point. In September 2014, the General Union of Workers (UGT) argued that all economic activities should allow free competition, and consumers and workers’ rights should be protected. They stated that public administrations should take action against Uber, which is ‘an illegal activity and promotes underground economy, and whose responsibilities towards workers and users are not clear’. UGT also argued that allowing Uber to continue would destabilise the transport sector, endangering thousands of jobs in Spain (in Spanish). More pertinently, perhaps, the case of Uber, and the gig economy more generally, raises questions about responsibility for workers' pay and conditions. More investigation is needed to find out whether drivers can secure a living wage through this model of labour market attachment. In Germany, in July and August 2015, the Hamburg and Berlin authorities prohibited Uber from providing UberPOP services, citing non-compliance with the Passenger Transport Act. However, Uber continued to provide its services since the decisions were not backed by court rulings. 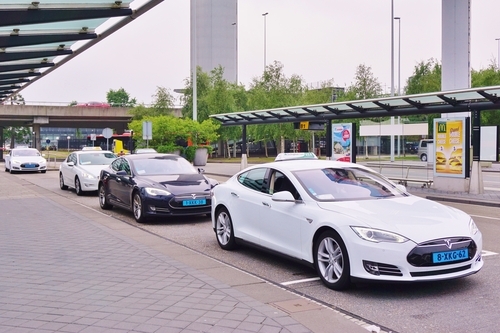 Taxi Deutschland, a cooperative of taxi companies and a member of the national association of taxi and car hire companies (BZP), filed a lawsuit with the Superior Administrative Court of Frankfurt to obtain a ruling on unfair competition. In late August 2014, the Frankfurt court took an ‘urgent decision’ to ban UberPOP nationally for breaching the law. However, the ruling was annulled two weeks later because the need for an ‘urgent decision’ could not be proved. Some days later, courts in Hamburg and Berlin endorsed the decisions of their local authorities and prohibited UberPOP services locally. The Berlin court also prohibited UberBLACK on the grounds that UberBLACK breached the law on hire cars: its drivers pick up clients on the streets and do not return to their home base after each ride. On 18 March 2015, the Superior Administrative Court of Frankfurt took a final decision on Uber and banned Uber from providing any service that used drivers who had no passenger transport permit. The ruling came into force in April 2015. Similarly, in Spain, the Madrid Taxi Driver Association pressed charges against the company at the Madrid Trade Court in October 2014. In December, the court ruled that Uber had to cease operating nationally as it was causing ‘immediate harm’ to the taxi sector, and that taxi drivers were suffering from ‘unfair competition’ (in Spanish). The High Court of Justice in Madrid also obliged phone companies to stop offering their services for the Uber platform. Uber therefore had to interrupt its services indefinitely. In the USA, responses have been varied, with some cities banning Uber programmes altogether, and others imposing restrictions that have forced the company to suspend operations. Many city and state governments have sought to include Uber in their jurisdiction, but under some degree of regulation. Colorado was the first state to act, in June 2014, requiring background checks, vehicle inspections, and insurance for Uber drivers. The regulations set up in Nevada, from May 2015, place an excise tax on Uber (and competitor Lyft) and put the regulation of the ride-sharing services under the control of the Nevada Transport Authority. Some cities, like Miami, have been able to effectively keep Uber out by classifying them as town cars which have a built-in regulatory system that is meant to distinguish the service they offer from that of a taxi. Uber has responded by attempting to bypass the city government and taxi union by sending 20 lobbyists to the state legislature to push for new legislation that would allow the company to operate in Miami. the lack of authorisation and the non-regulated behaviour of UberPOP drivers give them an unfair competitive advantage. Uber appealed the ruling, arguing again that its business is different from that of taxi services: it is a technology company whose customers only use its software application. The main trade unions in the sector welcomed the ruling, saying that it was an important step in ensuring compliance with Italy’s rules on transportation. They also stressed that this was an opportunity to extend the rules governing public transport to private hire car services. On 2 July 2015, the Court of Milan confirmed the interim injunction set out in the appealed decision, and banned UberPOP on the grounds of unfair competition. The Uber company has adopted a very pragmatic response to the variety of national regulations and positions. It has adapted its business models in order to keep operating, while continuing to lobby for reforms to the regulations. For example, in Spain, Uber introduced its restaurant delivery service UberEATS at the beginning of 2015 after the ban, as this activity is less regulated than the taxi sector (see Reuters). In Germany, Uber has adapted to legislative sanctions by first lowering the fares of UberPOP to 0.35 cents per kilometre (similar to a ride-sharing company, which charges this amount legally as a ‘contribution to costs’), and it has changed its strategy, by starting to cooperate with professional drivers of hire cars and taxis. Uber has also been engaged in lobbying for greater liberalisation of the taxi market. In November 2014, the online newsletter Gründerszene reported that Uber had launched a position paper on reforms to German passenger transport legislation (in German). It proposes a liberalisation of the taxi licence scheme, an end to banning hire cars from picking up clients on the streets, changes to the exam of the passenger transport certificate (dropping the test on local knowledge) and an end to the strict regulations on the outer appearance of taxis. Furthermore, Uber suggests introducing a new legal category of ‘service provider for casual passenger transport’. Also, it proposes a new employment status for people providing small services to the digital/share economy (such as Uber, Airbnb, Ebay and Helpling). It suggests that these people should be seen as self-employed, but profit from a low lump sum tax as long as they do not earn more than €450 per month (similar to the German mini-job status for marginal part-time workers). The paper did not spark a public debate but was strongly opposed by the taxi driver organisations (in German). After a lot of turmoil in the Member States, the Uber case has arrived at European level: Uber has filed complaints with the European Commission against the bans in France and Germany (Reuters, 1 April 2015). Also, a Spanish judge appealed to the European court of Justice to clarify whether Uber is a digital service or a ‘mere transport service' (Reuters, 20 July 2015) The distinction is crucial for the (non-)applicability of European law, as explained in an article in the European parliament magazine: a digital service could be regulated across all Member States under the 2006 service directive, which aims to realise the full potential of the Single Market. Transport services, on the other hand, are subject to national regulations. On 9 September 2015, the European Parliament called on the European Commission to 'monitor the situation in the different Member States as regards the operation of transportation network companies that match drivers to passengers (Uber being the most prominent example), and to carry out an assessment of the legal, social, economic and environmental consequences arising from the operation of such companies, accompanied, if appropriate, by relevant measures or recommendations for developing innovative new services in Europe, taking into account the existing taxi services' (see also the related brief) At the end of 2015, the European Commission launched a study on the taxi and car hire sector in the Member States, with a view to determining whether European action is required. New insights from both the European Court of Justice and the European Commission can be expected later in 2016. The Uber cases underline the difficulties in applying the law to workers, jobs and activities that do not conform to the more traditional subordinated or self-employment relationships. Despite the unrest and negative reactions, Uber’s activities are yet to prompt a response such as collective bargaining or re-regulation for the sector. Challenges thus far have tended to focus on how Uber complies with existing legislation, rather than attempting to redefine the law. However, this type of response is probably a necessary first step and other responses may follow. Key issues have been raised about how Uber operates. First the business case has been raised, as these digital platforms challenge business regulation in different sectors. Indeed, the Uber case has prompted national legislators to address the issue of how to regulate the transport sector. The policy debate in different Member States is expected to take different forms, but the central questions will be around whether the sector requires de- or re-regulation. It is possible that these technology-driven changes to the transport sector will be replicated in other service sectors. In this light, responses to Uber take on greater significance. The spread of Uber, and reactions to it, reveal the opportunities, limits, challenges and ways of addressing the development of forms of contracting work and activities that do not fit into the traditional categories of subordinated/independent work. Again, as many rights and obligations are based on these categories – from social protection rights (such as working time or minimum wage coverage) and contributions, to taxes and representativeness – it is of paramount importance to clarify how digitalised activities will align with the more established labour market models. A key question also is what role the European union will play in this regard. Uber and others in the digital economy raise this challenge which all actors will have to address. The issues of what the ‘gig’ economy or sharing economy mean for working conditions, and notions of what constitutes a ‘good job’, are likely to be prominent in debate for some time to come. This article is a joint contribution from several experts in Eurofound’s network of European correspondents, coordinated by Duncan Adam, University of Warwick. Further resources on individual and collective employment relations can be obtained from EurWORK.